Deepwood Foundation partners with the following programs in order to provide grants, gifts, programs, and activities supporting persons with Developmental Disabilities. Additionally, these programs may provide direct assistance, when appropriate, and promote community awareness of the needs and abilities of individuals with disabilities. The mission of the Deepwood Run is to provide grants and gifts to enhance the quality of life of individuals with developmental disabilities. Established in 1998, the organized motorcycle run and raffle was started by a compassionate Vietnam Veteran known as “Doc”. Since then, the organization has evolved into an annual program operated by a dedicated group of volunteers. All monies derived from the events go to improve the quality of life for individuals with special abilities. In 2013, The Deepwood Run became a program within the Deepwood Foundation. The mission of the Marcus Lantern Fund is to raise money individuals with special needs and developmental disabilities to go to summer camp. This program is housed within Deepwood Foundation and is dedicated to the loving memory of Marcus Lintern, who lived a full and happy life until the age of 21. Marcus’ family feels that summer camp helped enhance Marcus’ quality of life by helping him become more independent. As a result of this program, we are able to raise money to partially and totally grant tuition to campers who would otherwise be denied. The mission of the Cleveland Foundation is to enhance the lives of all residents of Greater Cleveland, now and for generations to come, by working together with donors to build community endowment, address needs through grant making, and provide leadership on key community issues. The Cleveland Foundation focuses on enhancing Cleveland's education and youth development, neighborhoods, health and human services, arts and culture, and economic development. Organizations within these areas of impact receive the Cleveland Foundation’s grant making dollars in response to direct requests from the community. 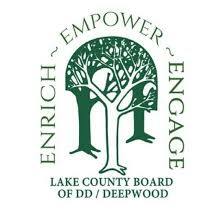 The mission of the Lake County Board of Developmental Disabilities/Deepwood is to EMPOWER people with developmental disabilities to ENGAGE in activities that ENRICH their lives and contribute to their community. Through funding by federal, state, and local tax dollars, the LCBDD offers a broad scope of multifaceted, community-inclusive services and supports for thousands of Lake County citizens of all ages. Approximately half of the services are provided to individuals with developmental disabilities are in the community, at the person’s home, at their job, or at a community activity. The other half of the services offered are based out of the County Board-operated program areas. The LCBDD’s overriding vision is to offer Lake County citizens the highest-quality, most-inclusive, collaborative, and person-centered services and supports available within their resources.